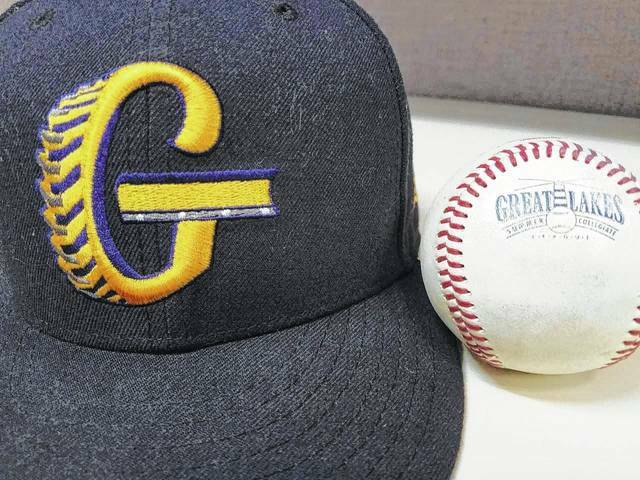 CINCINNATI — The Galion Graders entered their final stretch of the 2018 regular season on Thursday, July 19 by making a trip down to Cincinnati for a meeting with the Southern Division leading Steam. Galion was looking to extend their winning streak to five games but their hosts had other plans as Cincinnati emerged with the victory, defeating the Graders by a final tally of 7-2. With the loss, Galion drops to 16-15 on the summer and now sit seven games behind the Steam, who improved to 24-9 and hold a half-game lead over the Southern Ohio Copperheads (23-9). The Graders currently hold the final playoff spot in the Southern with a one-game lead over the Hamilton Joes (16-17). The visiting Graders scored the first run of the contest in the opening frame as Jacob Reimold ripped a two-out double to centerfield to send up Michael Rodriquez. Rodriquez proceeded to belt a single to right to put runners on the corners with two down. After an error by Cincy second baseman Jacob Abbott, Reimold crossed the plate to put Galion up 1-0 early. The Steam would not be able to answer as they went in order in the bottom of the first. Cincinnati would buckle down to get the visitors in order in the top of the second. After an Eddie Pursinger walk, Thomas Bennett stepped in and delivered a double to put runners at second and third with just one out. Ryan Fournier would reach via an error by Galion third baseman Christopher Jordan which would send Bennett to third and score Pursinger to knot the contest at one run apiece. In the third inning, the Graders would attempt to rally with two outs again, jump started by a single off of the bat of Todd Sekowski. Reimold came up and knocked his second hit in as many at bats with a single to right but Sekowski would be gunned down by right fielder Fournier trying to score to end the inning. Cincinnati came to the dish in the third and rattled off a double and three singles that, with a wild pitch by Galion starter Henry Martinez and a fielder’s choice, would lead to three runs to put the hosting Steam up 4-1 heading into the fourth. The fourth and fifth innings would prove to be fairly uneventful as Vince Donato singled in the fourth and Cole Andrews led-off the fifth with a ground rule double but both would be stranded. For Cincy, they would go in order in the bottom of the fourth and see just one baserunner in the fifth via an one-out walk. Galion’s final run of the contest came in the top of the sixth as Reimold crushed his sixth home run of the summer but the Graders would go down in order following the blast. The Steam were also shutdown in the sixth to send the contest into the seventh with the hosts up 4-2. Down to just nine outs in the game, Galion went 1-2-3 in the seventh to send the Steam up to bat, looking to add some insurance runs in the bottom of the inning. They would do just that as Jake Kates drew an one-out walk, sending Griffin Bernando up. Bernardo wasted no time at the plate, crushing the 1-0 offering over the fence for a two-run jack to make the score 6-2 in favor of Cincinnati. Reimold would step in for his fourth at bat in the eighth and notch his fourth hit of the game with two outs on a single. However, he would be stranded their and Galion’s chances continued to narrow. In the bottom of the eighth, the Steam would post the final run of the contest thanks to a single from Abbott, a walk drawn by Sebastin Fabik, a Marshall Gei fielder’s choice that erased Fabik from the base path and a wild pitch from the Graders’ reliever Jacob Williams that scored Abbott to bring the game to its’ eventual final score of 7-2. Galion went in order in the top of the ninth to wrap the action in Cincinnati. The Steam plated their seven runs on seven hits, left eight runners on base and committed just one error in the field of play en route to their 24th victory of the season. Galion managed eight hits to score the two runs, left five runners on and also committed just the one error on the afternoon. Martinez started the game on the hill for the Graders and suffered the loss after going six innings and giving up five hits that led to four Steam runs (three earned). Martinez walked three and struck out six on the day. Williams came on in relief and tossed the final two innings in his debut with Galion and gave up two hits and three earned runs while walking a trio of Cincinnati batters. Offensive statistics for the Graders Thursday were: Team- 8/34, HR, 2-2B, 5-1B, 2R, 2RBI, 0BB, 7K, 0SB and 5LOB; Reimold- HR, 2B, 2-1B, 2R, RBI; Rodriquez- 1B, RBI; Andrews- 2B; Sekowski and Donato- 1B, apiece. Galion was back at home on Friday evening at Heddleson Field in Heise Park against the Steam. The Graders will take to the road on Saturday and head to Newark for a doubleheader against the Licking County Settlers before returning home for a single game against those same Settlers on Sunday, July 22 at 7:05 p.m. After having Monday off, Galion will play host to the Copperheads for a two-game stint in a pivotal series on Tuesday and Wednesday.